Marlene is director and a culinary educator of Refined Cook, whose mission is to teach and bring healthy, gourmet cooking into homes to promote a SLOW and sustainable lifestyle. She is also a jazz musician who appreciates improvisation in music and in the kitchen. Jeff is a culinary educator who is also a graphic artist and wine consultant. He has helped many a lost soul with wine pairing and buying tips that don’t break the budget. 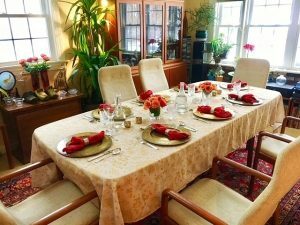 His wry humor and eye for aesthetic detail are evident in his cooking, presentation, and sense of decor. 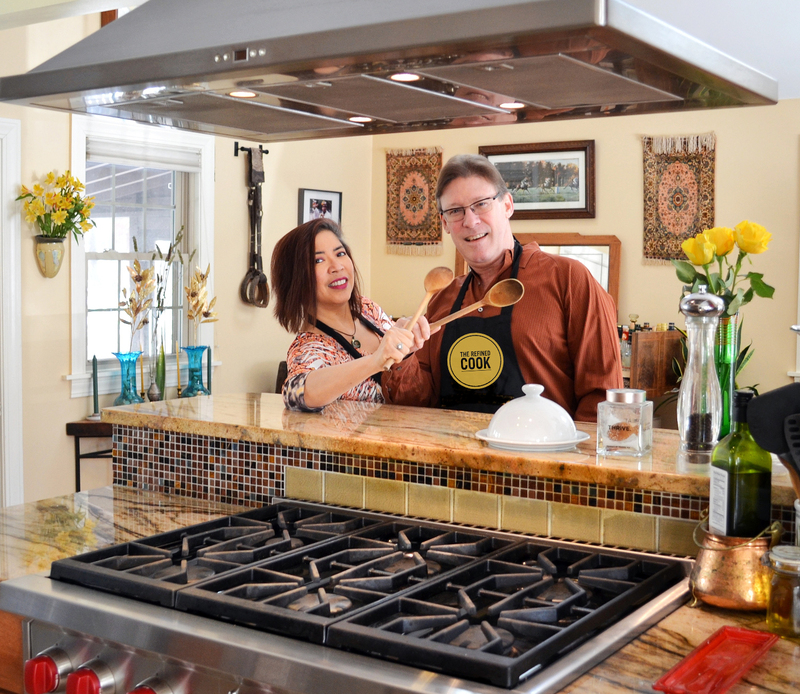 Jeff and Marlene will share their love of world cuisines culled from travels in Asia, Patagonia, the Himalayas, the Andes, the Amazon jungle, and their cycling trip through the French Dordogne region, home of foie gras and rustic gastronomy. Refined Cook classes use mostly organic, natural or minimally processed (if at all) ingredients. 100% of our electricity is sourced from wind power and we compost and recycle. Jeff and I started this venture earlier this year because we love everything about food–gathering (we like farming and shopping), cooking, eating, entertaining and best of all, we like meeting new people and hearing their stories. A few years ago in a hostel in Patagonia, we decided to cook dinner and invite anyone who cared to join us for the price of a story. It was an incredible experience. We also believe in reclaiming our right to leisure, which is just another way of saying, we try to follow a slower lifestyle where we can stop and smell the roses, watch the hummingbirds, and take the time to create beauty wherever we are, because we care for ourselves, for other people and the health of our planet. The Refined Cook Culinary series are culinary events that are a bit different from regular cooking classes. Our mission is to teach and bring healthy, gourmet cooking into homes, offering a slow and sustainable lifestyle. For us, a meal is not merely physical sustenance. When created with joy and shared with friends, it is also spiritual and mental sustenance. So in addition to the technical aspects of cooking and using healthy ingredients (organic, natural or minimally processed), we encourage play and experimentation (yes, we play with our food!) and stress the importance of aesthetics— artful plating, a beautiful ambience, so that everyday meals are elevated into extraordinary ones. And we’re partying too!